Elastic pull device provides a strong dynamic pull on the patella as the knee moves into extension. The TPAA can be utilized on DonJoy's rigid ligament and OA braces for additional support and symptomatic pain relief of patellofemoral dysfunction including lateral mal-tracking, subluxation/dislocation, and patellar tendonitis. The TPAA may be used for sports (including contact and non-contact) activities and/or activities of daily living. Unique materials provide a modern nonmedical look. 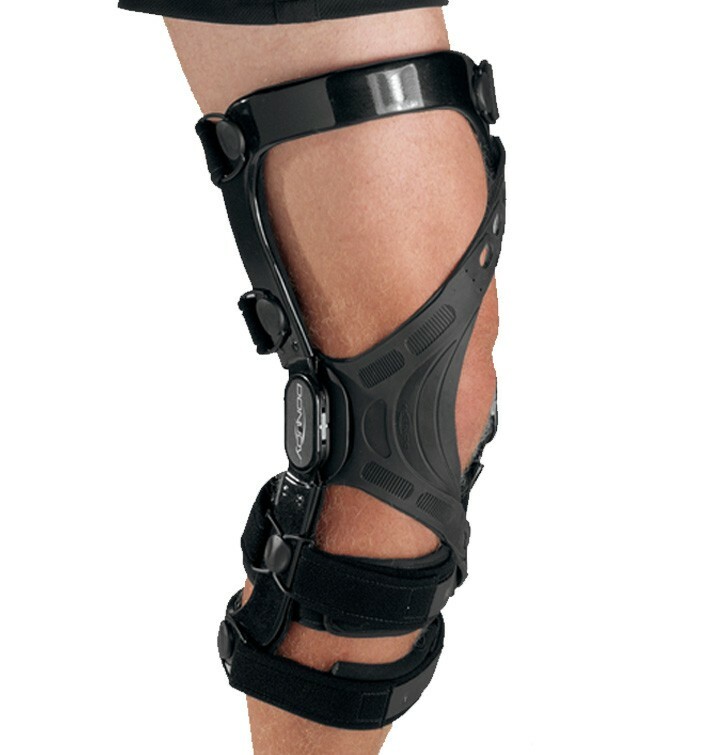 XS/SM 13" - 15 1/2"
MED - XL 15 1/2" - 21"
2XL - 3XL 21" - 32"
can the tpaa be used on both knees or do you have to order knee specific braces? No the TPAA can be worn on either a right or left rigid hinged knee brace. I currently use the Tru-Pull Advanced System brace (non-hinged). http://www.betterbraces.com/donjoy-tru-pull-advanced-system-55 The products are similar, but the one I currently use is a soft sleeve not a rigid brace. I use it when I play sports to keep my patella from dislocating due to a high Q-Angle. The combination of a rigid brace and the Tru-Pull Advanced Attachment seems like it would be easier and less abrasive to play sports in. If I switch to a rigid brace with this product, would I have the same level of protection? Also, what rigid braces are compatible with this product? You'd definitely get more support using the DonJoy Tru-Pull Advanced Attachment on a DonJoy Rigid brace due to the rigid frame on the brace. The DonJoy Tru-Pull Advanced Attachment is compatible with all DonJoy Rigid braces (DonJoy Defiance III Custom Knee Brace, DonJoy Full Force Ligament Knee Brace, DonJoy Armor Knee Brace, and the DonJoy Female Fource ACL), however use with the DonJoy Legend SE-4 Knee Brace and DonJoy Legend Knee Brace is not recommended due to the rubberized outer coating on the brace, which can cause difficulties attaching to the brace.